Amelie Lounge armchair with comfortable high back and generous upholstery. The Amelie model uniquely combines high seating comfort with clear lines reduced to the essentials, which are underlined by an all-round leather piping. The Amelie armchair was developed from the concise contour of the Amelie chair shell, which can be found in all models. 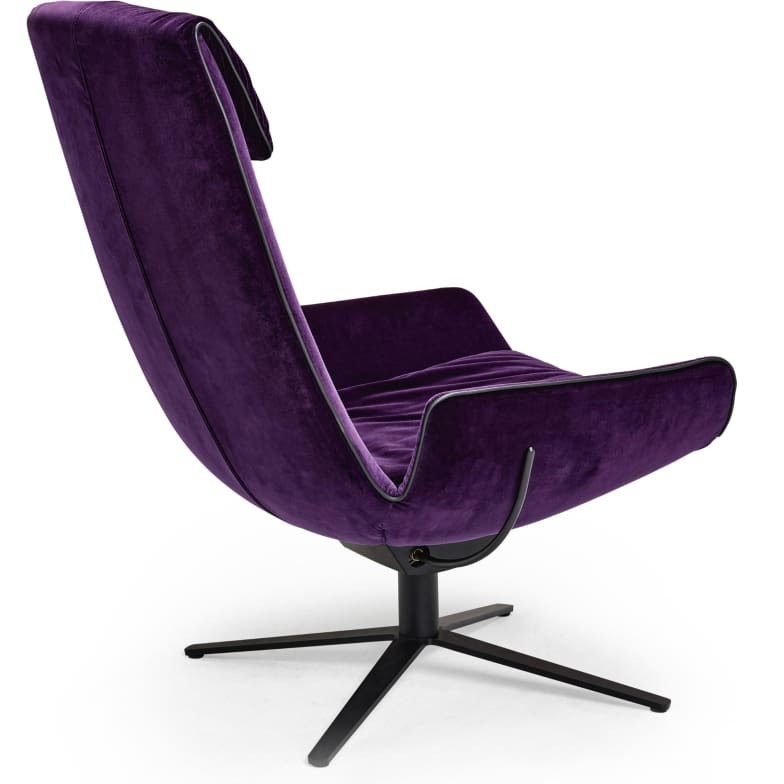 The Amelie Lounge Chair consistently pursues the simplicity of form typical of Amelie. The seat cushion, which is folded inwards, creates a large upholstered volume that makes it particularly comfortable. The extra high back and the casually upholstered neck cushion create an extra level of comfort, regardless of the sitting position. Do you have a question about "Amelie Lounge (x-base)"? How can we contact you?